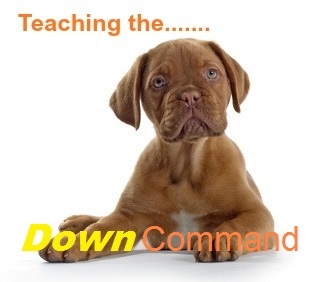 The Down command is one of the most basic dog obedience lessons that Fido needs to learn. It usually comes second, right behind the 'Sit' command (which is the simplest of all). 'Down' is one of the foundations for formal obedience work, but it also comes in very useful in every day life with a dog. When there's a lot of excitement, noise or children/pets running around and you need your little guy to stay put! As part of more advanced obedience lessons, including learning to 'Stay' and 'Come', or as part of retrieving, tracking or other 'work. When visitors come to your home and they don't want to be licked to death, or covered in pawprints... or you just want to be able to chat without distractions. 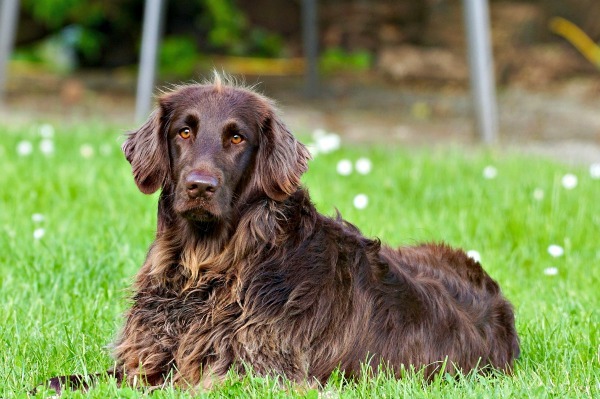 Easy steps that will help you train your puppy or dog to obey the Down command reliably. You can help shape your puppy or dog's response to the Down command, if needed, by using your treat-free hand to gently push down between his shoulders which will slide his front legs forward. If he still resists, use the hand with the treat to gently pull his front legs forward while giving some light pressure on his shoulders. Again though, only do this if Fido is getting confused and doesn't understand what you want, and only for the first couple of tries until he's got a grasp of the concept. This isn't a wrestling match though and the pressure shouldn't be enough to cause your pup to fight it. If you do it gently, while encouraging him to 'down' in a happy voice and reward him as soon as he is in the right position he will figure it out pretty quickly. Remember your dog wants to please you, and to obey the commands you are giving him... but he doesn't always understand what it is that you want right away! Here's a short video that shows you exactly what I've talked about on this page. Once Fido understands the 'Down' command and obeys it quickly, now and then start asking him to lie down directly from a standing position rather than a sitting one. Dogs are creatures of habit and up until now he's always associated 'Down' with 'Sit' needs to learn that it means lie down regardless of what position he was in at first! Even though he knows what down means, he might need a little extra guidance and encouragement to get it right from a standing position at first. Also, make sure to regularly practice 'Sit' as a stand-alone command (ie not followed by the 'Down'). This is to prevent your puppy or dog from associating the two of them as a sequence rather than two separate instructions. If you ALWAYS ask him to lie down after he's already sitting he'll soon start to slide straight into the down position and the two commands get blurred in his mind.